Rapid7, Inc. (NASDAQ: RPD), a leading provider of security data and analytics solutions and member of the Intel Security Innovation Alliance™ partner program, today announced that its live vulnerability management solution, Nexpose, is fully integrated and compatible with McAfeeâePolicy Orchestrator (ePO) and McAfee Data Exchange Layer (DXL). By integrating Nexpose to both McAfee ePO and McAfee DXL, mutual customers will now have always-on vulnerability management, visibility into their endpoints and entire IT environments, and the ability to prioritize remediation to maximize impact. The integrations will help organizations break down communication barriers between IT and security teams to collaboratively reduce the risk of a breach. Through Nexpose integrations with both McAfee ePO and McAfee DXL, mutual customers will have extended visibility into each asset on their network, increasing the ability to manage risk with automated response to threats including malicious file infections. Nexpose provides live vulnerability monitoring, allowing customers to automatically collect data and analyse network exposure as it changes. Using this data, Nexpose prioritizes risk based on customer environments and attacker behaviour, and then streamlines remediation by aligning IT and security workflows. Through bidirectional integration, Nexpose vulnerability data is sent to McAfee ePO and McAfee DXL, while asset and threat intelligence data is added to Nexpose from McAfee ePO and McAfee DXL. In addition, Rapid7’s attacker mindset, powered by Metasploit, provides customers with the context they need to drive remediation based on real-world threats. Nexpose and McAfee ePO users will now have extended visibility into their attack surface, including their endpoints, and have the ability to streamline processes, improve reporting, and increase alignment with their IT teams. Additionally, live vulnerability information is delivered in a language and format that is already in use; vulnerability information and risk scores are incorporated into the McAfee ePO dataset, and layers in context with the rest of customers’ McAfee ePO data. 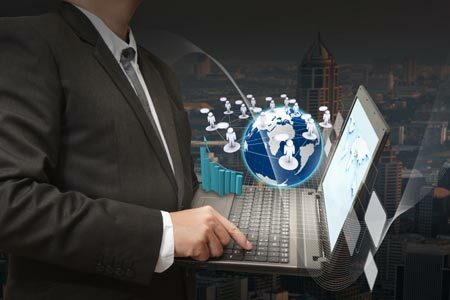 Organizations that use Nexpose and McAfee DXL will be able to leverage the underlying communications technology and framework that connects products across vendors. This framework connects multivendor security products and enables them to exchange information, and it lets customers’ security tools work more effectively. Joint customers will see malicious file infections and new vulnerabilities as they are discovered across the ecosystem. “Intel Security has a strong legacy of building innovative solutions, and the Intel Security Innovation Alliance has opened up a tremendous opportunity for vendors to build on that history. Meaningful integrations are critical to the evolution of our industry, helping IT and security professionals do their jobs effectively and increasing organizational alignment – they’re what allows us, as a community, to move forward,” said Weiner. The Intel Security Innovation Alliance enables customers to leverage their investments in Intel Security while adding complementary capabilities to Intel Security’s core offerings. By implementing products designated as McAfee Compatible, mutual customers enjoy faster time to deployment; lower total cost of ownership; and more efficient and effective security risk management projects.